We’re very excited to introduce our newest staff member, Tori Brant. Tori is a Program Coordinator, contributing to the success of both of our Court Monitoring grants, which currently cover Greenville, Pickens, Richland, Kershaw, Charleston, Berkeley, and Horry Counties. Tori started on July 24th and has jumped right in with making an impact! Tori had her first real interactions with DUI and MADD working for the 5th Circuit Solicitor’s Office as a Victim Advocate and then the DUI Treatment Court Director. The latter opportunity greatly sparked an interest in impaired driving and making a difference in our state’s terrible rankings. It also gave her some great insight into the laws and using public records, which is ideal for her new role. 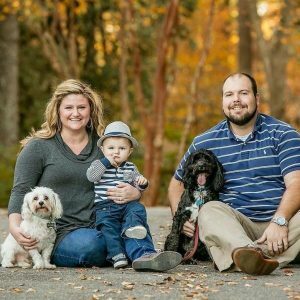 She worked at MUSC for almost two years when she and her husband moved to Charleston, but they moved back to the Midlands to be closer to family after her son was born. Tori’s undergrad and MSW are both from USC. We’re excited for all of you to get to meet Tori soon and welcome her to the MADD family.